Hertha Berlin travel to Borussia Mönchengladbach on Sunday (kick-off 15:30CEST/13:30GMT) in a game that could go a long way to deciding who finishes in the top four. Third-placed Hertha are in the driving seat, but momentum is everything ahead of games against relegation-battling pair TSG 1899 Hoffenheim and Hannover 96 and Bundesliga leaders FC Bayern München. Six points behind the Berliners and four adrift of fourth-placed FC Schalke 04, Borussia Mönchengladbach's hopes of representing the Bundesliga in next season's UEFA Champions League may well hinge on this fixture. 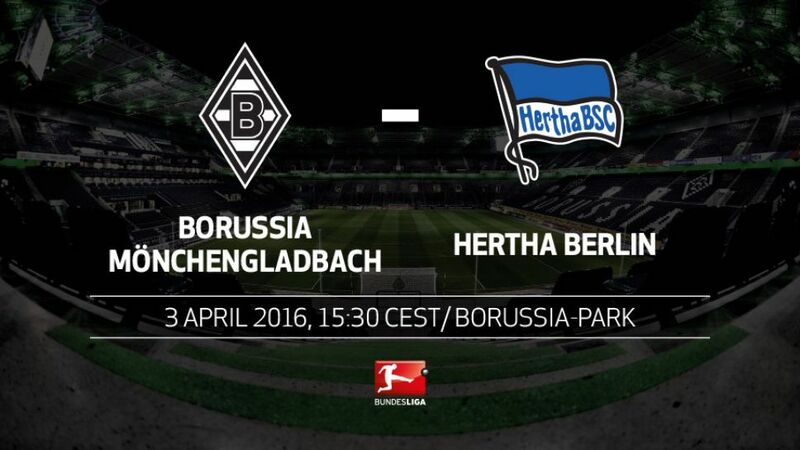 Gladbach have lost five of their ten Bundesliga matches in 2016.Only twice before have Hertha had more points on the board after 27 matches (48) since the introduction of the three-point rule.Gladbach have won seven of their last eight home games.The Foals have kept clean sheets in their last three at home, but have yet to record a single shut-out on the road in 2015/16.Hertha have scored more goals after 27 matches (36) than in the entire previous campaign (36).Gladbach's Mahmoud Dahoud and Hertha's Vladimir Darida have covered more ground this Bundesliga season than any other players.Gladbach defender Martin Hinteregger has scored two own goals in his first nine Bundesliga appearances. Manfred Kaltz (Hamburger SV, 1977/78) is the only player to have put three goals past his own goalkeeper in a single season.Dahoud and Hertha striker Salomon Kalou have each been substituted a league-high 19 times so far this season.